Many people don’t understand how Virginia’s open container law operates. 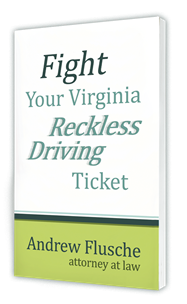 The law criminalizes drinking while driving, and it makes convictions relatively easy to obtain. Let’s look at it. The statute (18.2-323.1) has two parts. Section A says that it’s unlawful to drink while driving. That’s pretty straightforward. 3. The driver does or says something that indicates they’ve been drinking. What does that all mean? Let’s look at an example. I was sitting in Spotsylvania General District Court and heard a drinking while driving case called. The officer testified that he found an empty beer can in the car and that it was cold. The driver told the officer that she had drank at a friend’s house an hour and a half before driving. She blew a .03 on the preliminary breath test. The defendant testified that the can was old. She said it was cold that night, so everything in her car was cold. She admitted to drinking, but maintained it was only before driving. What do you think happened? Yep, convicted of drinking while driving. This law could also unjustly catch people in another common scenario: You go out for dinner and have some wine. The restaurant re-corks the bottle. You put it in the back seat of the car and drive home. If you’re pulled over and the officer sees the bottle, you’re in trouble. The only other element he needs is some indication of drinking; he can probably claim that he smelled alcohol on your breath. 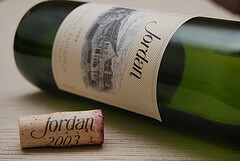 In that scenario, you might be able to defend the case if the cork was truly seated deep into the bottle. But the law doesn’t provide an exception for that. Any container is considered “open” if it’s not the original factory seal. The best way to protect yourself is to never carry any type of open or empty alcohol containers in your passenger compartment. Put them in the trunk. If you drive an van or SUV, the statute says that the area behind the last upright passenger seat is also safe. If you’ve been charged with drinking while driving, I’d love to talk with you. We’ll work on a defense together. Remember: no open alcohol containers in the passenger area.